The collection themes were considered by using my academic and experiential research of the social interaction between a person and an object. These themes evolved from ‘fieldwork’ and observations of daily activities with objects. I am interpreting the collection themes with the context of present day consistent consumption in the material world. My reference of the material world is objects of the western culture. Currently, there are four themes in the collection, represented with the medium of video. These themes were considered from the functionality of the object, possible daily use in present day society, and the role of the body interacting with the object. The collection themes are as followed with a brief content description. The Screwdriver Collection visually represents the use of a singular object to carry out multiple tasks. The Can Opener Collection visually represents the tangible and intangible work processes to open the lid on a tin can. The tangible work is the result of the main outcome, to open the lid of a can. The intangible work is the knowledge of the process to use the tool to open the lid. The Interaction With Color Collection presents the role that color represents within specific types of activities, characteristics of an object, and the human body as an object. The Mouth Collection visually represents the dual functionality of this body part with individual consumption of substance and interaction with objects. These themes are the initial stage of my collections, which are presenting the types of social interactions between person and object. I am grouping the social interactions by a detailed element of a multisensory experience. These groupings are organized and exhibited on a monthly recent addition basis on my website. 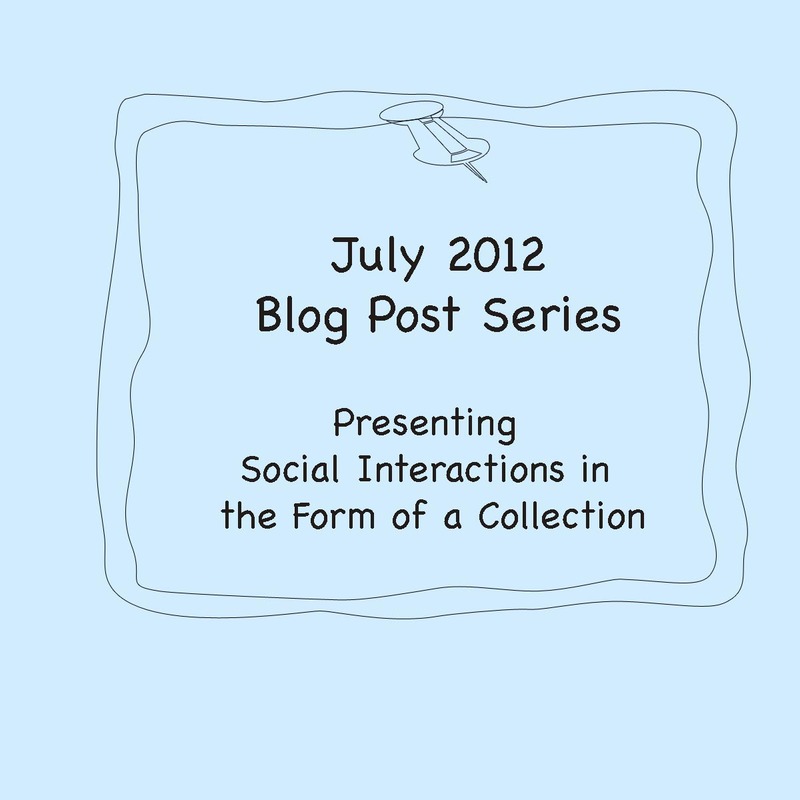 Social media is the medium for the main viewing area of the collections in the intangible public domain. I view the social media in offering flexibility in presenting a collecting process that I consider to be a continual act. I have considered the intersection of the methods used to contribute to the medium of video that is used to present the social interactions between people and objects. The analysis of these intersections of methods, such as observations and forms of written documentation, implies the details of each social interaction range in elements with the multisensory experience. An example of the range is the Screwdriver Collection tends to have no visual representation to taste, where the Mouth Collection has a direct link to taste. Considering this analysis, I am presenting one collection theme to group the multisensory and the symbolic of an object within the Interaction With Color Collection. As the collection develops as a whole with recent additions the obvious analysis is how will these methods contribute to future additions and themes of the collections. 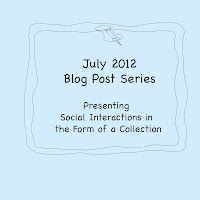 Since my analysis is largely based on my own interactions, I would like to gain knowledge from this current analysis to provide an understanding and continue the process of documenting others with their objects and social interactions.